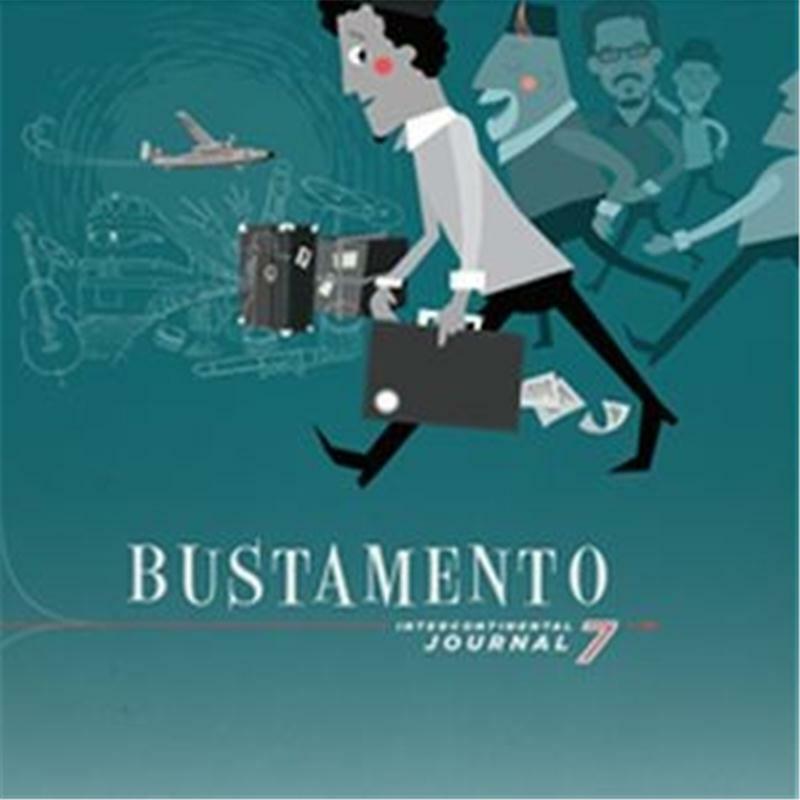 “Intercontinental Journal #7″ (2014) is available digitally on iTunes and as a CD via JB Hi-Fi. 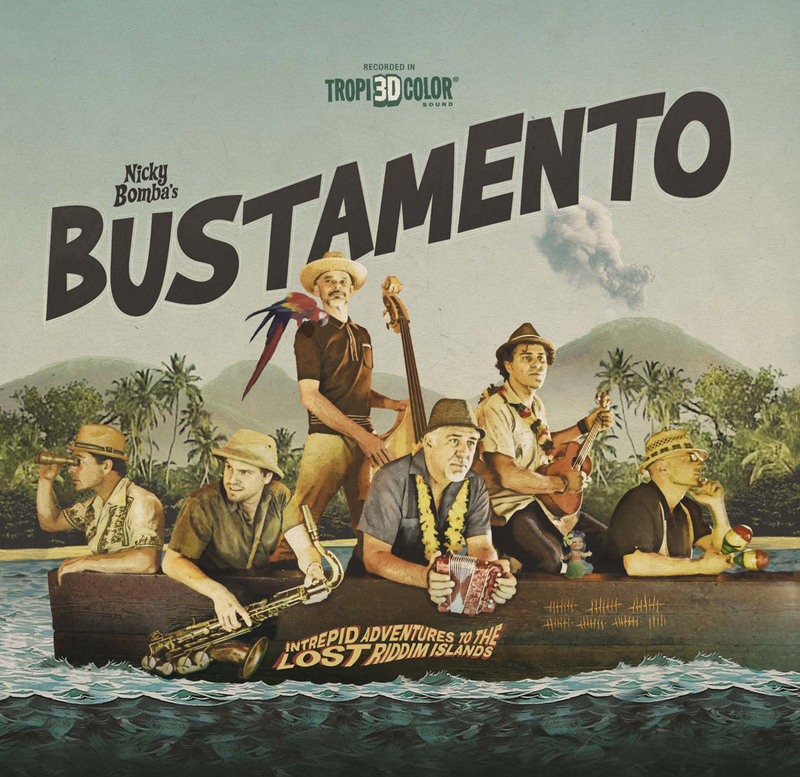 Nicky Bomba has jumped on his musical boat again to deliver a party filled island adventure with his new band BUSTAMENTO. A tropical shaking six piece that pays homage to the upbeat rhythms of the Caribbean, covering the Calypso, Mento, Early Reggae and Ska styles. While attending his first musical expo in Essen, Germany in 2003, Nicky’s GPS ears stumbled upon a sound that put a smile on his face. Nicky and Stanley talked together about the cheeky nature of the music style and how important it was to their musical legacy. Hooked on the sound it launched Nicky into the first part of his musical pilgrimage –Jamaica, tapping the source of the music he loved so much. Arriving alone with guitar in hand, Nicky found himself, within 24 hours, in a studio recording at the Twelve Tribes compound in Hope Rd, Kingston. Days later he was adopted into the Hendricks family from the hills of Christiana and immersed himself in the music and culture. On returning to Australia, Nicky wanted to start a new band. “Soon after arriving back home, I rang Barry and said I wanted to start a Mento group and he became a little giddy. We needed a name to kick it off and he mentioned Prince Buster, one of Jamaica’s recording pioneers and I had just read that he was named after Alexander Bustamente, the island’s first prime minister. It wasn’t too long before one of us said Bustament..o? At the time, funk reggae outfit, BOMBA, was touring nationally and it seemed a natural organic flow to form the band with the same brothers. After sourcing some sweet old tunes they worked up a repertoire that developed into something really special. It was the type of band that could work at a totally acoustic level and still sound fantastic. The harmonies, the grooves, the fun element, the spontaneity, it all came together beautifully. Intrepid Adventures to the Lost Riddim Islands, had begun. Nicky started writing songs that lent themselves perfectly to the genre and early this year (2012) the fruit was ripe for the picking. 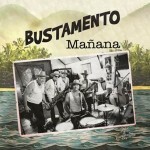 In what was a totally fun and inspiring experience, BUSTAMENTO recorded 23 songs in one weekend and realised they had something special… Jungle drums, sweet harmonies, banjos, ukuleles, double bass, piano, trumpets, saxophones, steel drums, mbiras, jazz guitars and a healthy dose of looseness was the order of the day. The band has an amazing chemistry and with brother Nicky And Michael side by side again, it was a winning combination. Some songs they developed a little further but the essence of the tunes had the spirit of the music that put the spring in their shoes. Coconut Woman, Freeman and the first single ’Mañana’ (pronounced Man-yana) pays tribute to some of the great classics. Livin the Dream, Let’s Start Again and the classic mento form of Deep Sleeper Man Nicky wrote only recently when the vision became clearer. The grooves have been tried and tested already on energetic crowds across the nation. Ghamillu Karta is an old Maltese folk tune BUSTAMENTO ska’d up and Nicky sang in the mother tongue. Penny Drop was the most recent composition about those moments when the universe goes “ping!”. Wicked sax in that tune. Soon Come has a Motown feel but with enough feet in the ska camp to get a ticket. Nicky recently received the highly prestigious Music Fellowship Award from Australia Council and this album is one of many planned under that banner. As conductor of the Melbourne Ska Orchestra, drummer for the John Butler Trio and now with BUSTAMENTO, the next couple of years spells an exciting time in his musical journey.